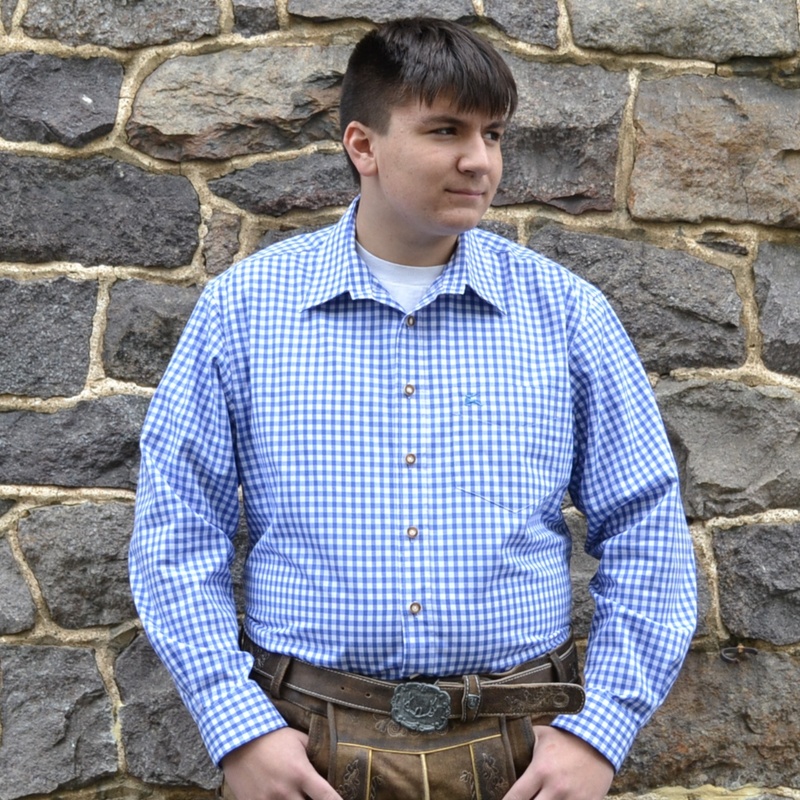 This OS Trachten blue checkered shirt is imported from Germany. 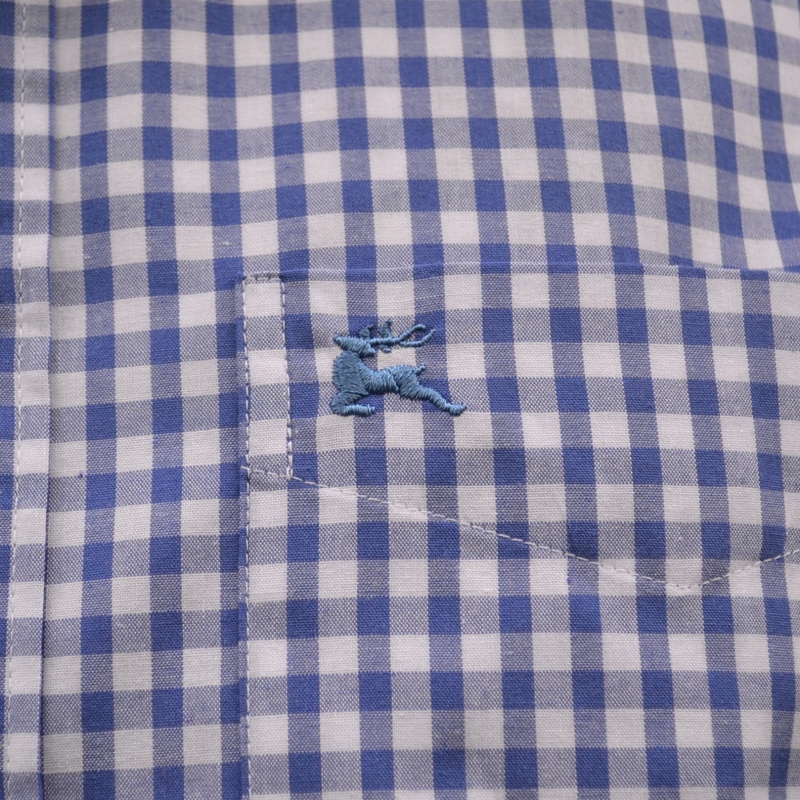 Deer embroidery on left chest pocket. 60% Cotton/40% polyester. Edelweiss tie ring with gold painted center. Imported from Germany. Filigree tie ring imported from Germany. Maroon with edelweiss flowers. Imported from Germany. This lovely tie ring is hand carved from an authentic Stag horn and features a Stag carved into the center. This tie ring is made from beautiful filigree, mieder chain and dangling antler. Made in Germany. Embroidered Prosit Cheers design. Embroidery by Ernst Licht.